There are few other destinations that excite a business traveller like a trip to the French capital. In 2011 a record 88 million travellers passed through the city’s Charles de Gaulle and Orly airports, and today the City of Light remains the world’s most visited city, with nearly half of those visitors (45%) there on business. 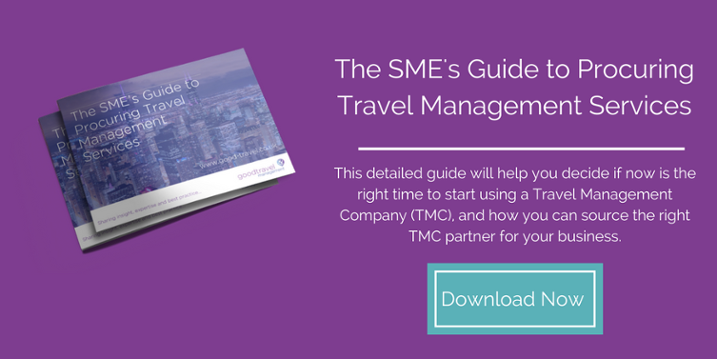 With this in mind, business travellers can expect to spend less on a trip whilst enjoying a fantastic range of hotels, restaurants and sights. It doesn't matter on your duration, a short stay doesn't mean exploration is off the cards. Paris is a city that lends itself to being explored easily, whether you do this by foot, or open top bus, the Parisian landmarks and beautiful architecture are not to be missed. Many businesses from a range of sectors headquarter themselves in Paris, from Oil (Total) to Aviation (Safran Aircraft Engines) and of course Fashion (Balenciaga, Lacoste, Chanel and many more). Surrounding these businesses are a plethora of bars, restaurants and shops offering something for all budgets. Thanks to an extensive transport network, Paris is one of the best accessible cities. The Eurostar from London St Pancras provides a quick affordable way to travel to the French Capital. With 19 services a day, in 2 hrs and 19 minutes you can arrive right in the heart of Paris at Gare du Nord station. TOP TIP - Showing your Eurostar ticket can yield you 2 for 1 entry on selected museums and galleries perfect if travelling with a colleague. The metro has 303 stations on 14 lines, single journeys by metro cost €1.70 and a day pass starts at €6.80. Beyond the Metro and the Paris city centre, the Paris RER is a ground level commuter train connecting outlying suburbs and popular destinations such as Charles De Gaulle Airport, Disneyland Paris and Versailles to the capital. Again, RER fares in the city are €1.70 and a day pass starts at €6.80. Many of the streets in Paris have been made smaller to eradicate as many cars on the road. But by doing so, traffic congestion has become one of the many problems faced by commuters, residents and tourists alike. To tackle this, a bike rental scheme called Velib (similar to the “Boris Bike” scheme in London) was launched. It's become an immensely popular way to get around Paris, both by locals and tourists, and has arguably turned the city into a much more bike-friendly place. With three terminals handling flights from 148 different airlines, Charles De Gaulle Airport one of the largest airports in the world. Charles de Gaulle has nearly every amenity you could want. There is a huge range of shops, bars and restaurants, as well as bureaux de change and ATMs in all three terminals, and post offices in terminals 1 and 2. Paris has a huge amount of accommodation and up until a few years back, it had the most hotel rooms of any city in the world. Most corporate travellers tend to bed down at hotels in the city centre, but Paris has a broad range of accommodation options to suit every business travellers budget, from budget/luxury hotels to serviced apartments. Tripadvisor has a comprehensive list of hotels best for business travellers HERE along with the top 10 budget hotels HERE. 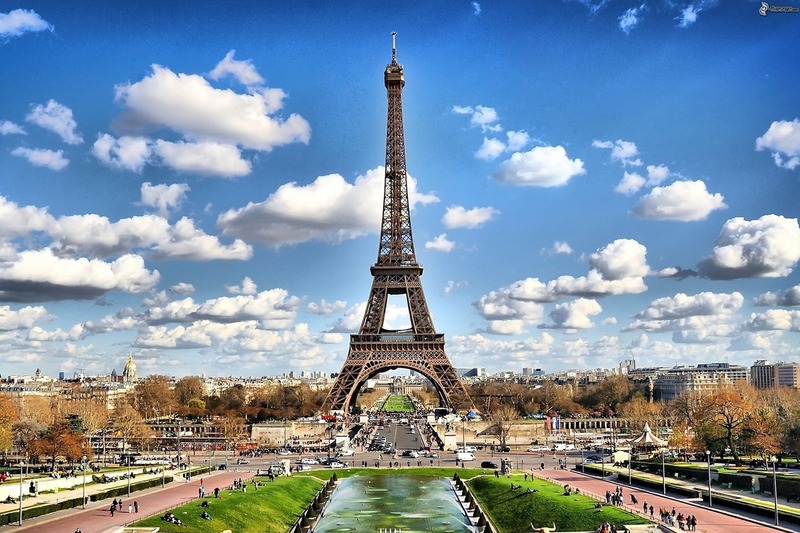 The Eiffel Tower, one of the most iconic structures in the world. Over 300 meters and made from wrought iron, it was designed by Maurice Koechlin and Emile Nouguier, and was later to be built by French engineer Gustave Eiffel and partners more for the Universal Exhibition of 1889 in Paris. It is the tallest structure in the city and collects 7.1 million visitors a year. Reaching the top is a breathtaking experience and you can see the whole Parisian landscape from the top. The open bus tours of paris show off the city in all of their delight, you can discover Paris at your own pace (especially handy if you have meetings scheduled at different parts of the trip) hopping off and on the 3 routes available. The Louvre Palace is a former royal palace located on the Right Bank of the Seine in Paris, between the Tuileries Gardens and the church of Saint-Germain l'Auxerrois. Home to The Mona Lisa,the museum houses western works of art dating from the Middle Ages to 1848, in addition to collections of ancient oriental, Egyptian, Greek, Etruscan and Roman civilizations, as well as graphic and Islamic arts. The Champs Elysee is a fantastic 1.2 mile long area known for its theatres, cafés, and luxury upscale shops including Louis Vuitton, Hugo Boss, Lancel, Guerlain, and Lacoste.Here, you can shop till you drop (or window shop) , then relax with a delicious Coffee. One of the most famous monuments in Paris, the Arc De Triomphe honours those who fought and died for France in the French Revolutionary and Napoleonic Wars, with the names of all French victories and generals inscribed on its inner and outer surfaces. The Arc de Triomphe is accessible by the RER and Métro transport options mentioned above, and due to constant heavy traffic on the roundabout of which the Arc is the centre, it is recommended that pedestrians use one of two underpasses located at the Champs Élysées and the Avenue de la Grande Armée. The Notre-Dame is a medieval Catholic cathedral widely considered to be one of the finest examples of French Gothic architecture. Best known for its relation to the story of the Hunchback of Notre Dame, made famous by the cartoons and movies inspired by it, the French Gothic Architecture backdrop for said cartoons remains the biggest draw for visitors from around the world. The River Seine is 485 miles long and runs throughout Paris into the English Channel. There are 32 bridges on the river in Paris, some of them more impressive than others. The Oldest bridge is the Pont Neuf which has been immortalised by artists and poets and even 20th century films. When it comes to French food, it isn't all about fine dining (although where better to eat traditional french food than a restaurant oozing Parisian opulence with the Eiffel Tower in your eye line) - some of the best food to be enjoyed in the French capital can be bought for a fraction of the price. For a cool bustling atmosphere - Bugsy’s Bar and Restaurant offers a wide range menu, featuring some of the best burgers you will ever taste - along with a fantastic range of cocktails (from personal experience the Moscow Mule is outstanding). For something a little more traditional the Triadou Haussmann is a fantastic Parisian Brasserie located on the Boulevard Haussmann. Serving the best of traditional Parisian fayre, here you will enjoy Creme Brulee, Chicken Dishes, Steak as well as Escargot and more - a real must!